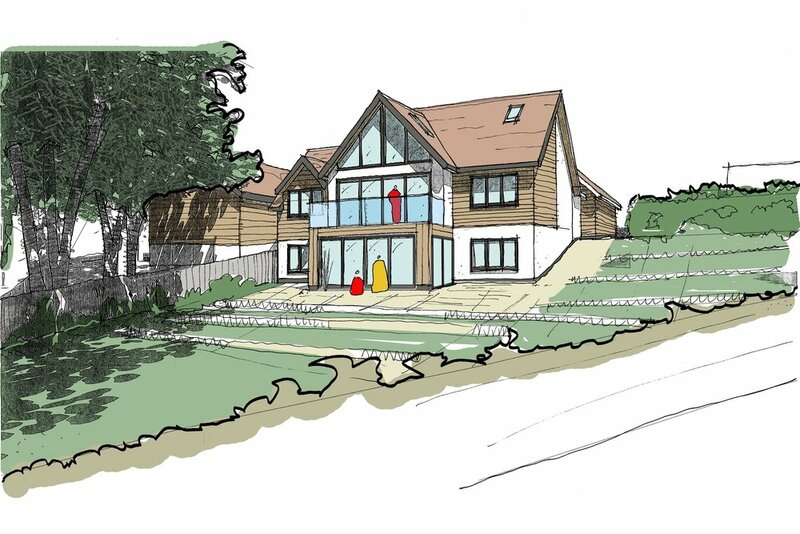 We are excited to announce the submission of a planning application for a new dwelling on an area of land located off Whynot Lane in Andover. The proposal is for a 4 bedroom family home on a large plot between the rear gardens of 2-6 Whynot Lane and the Andover Station car park. The site is currently surplus amenity land and has its own its own access track from Whynot Lane. Contemporary in style, the house has been designed to respond to the surrounding properties and minimise overlooking. Placed almost centrally in the plot, large interface distances from the front and rear of the dwelling have been achieved as well as the formation of large front and rear gardens. 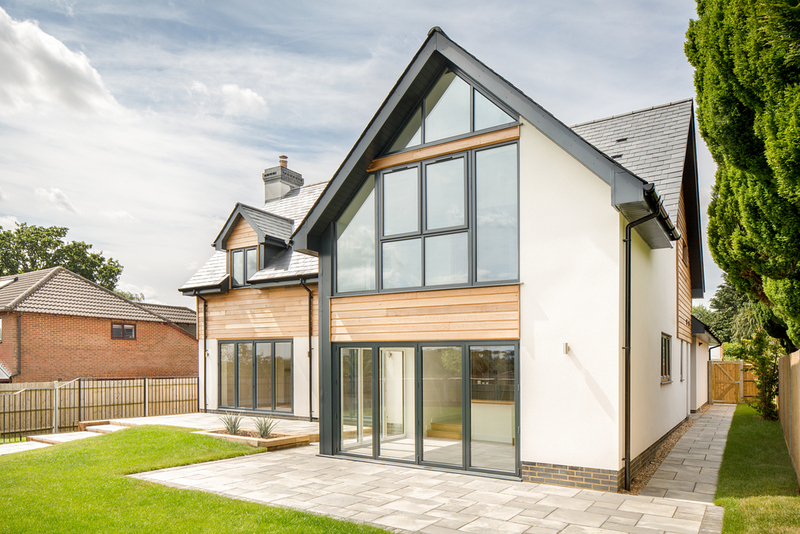 Low eaves to the front of the dwelling, teamed with an asymmetrical roof help reduce the massing of the building whilst also maximising usable space at first floor. 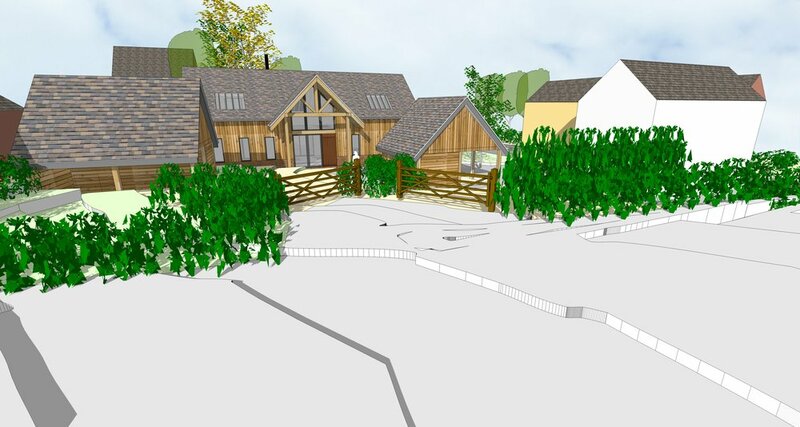 We are hoping for a positive planning result and seeing this project move forward! 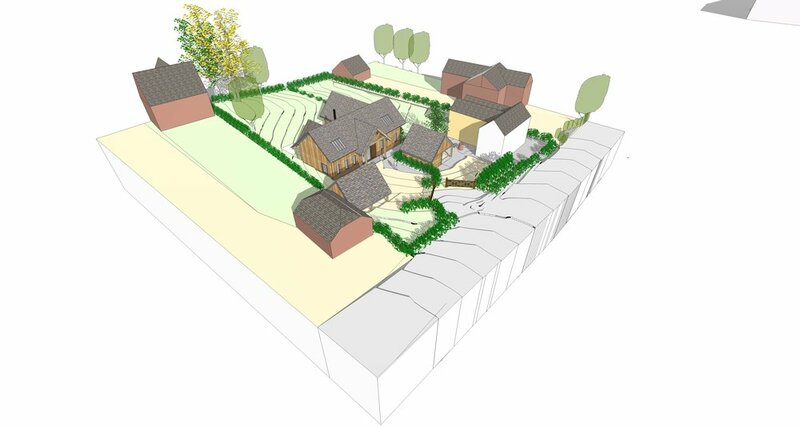 We have recently submitted a planning application for 11 dwellings in Salisbury. 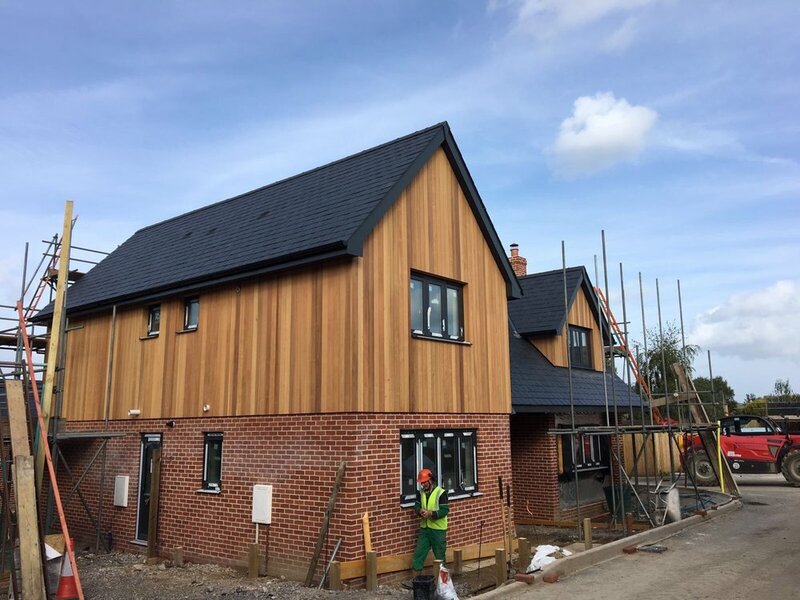 Formerly used as a plant nursery, the proposal at Britford Lane in Salisbury transforms the site from a tired commercial complex into a premium residential development. Comprising of 11 dwellings, two housing types have been designed incorporating a high quality design language unifying the site. A mixture of natural timber cladding and sharp brick work adds a modern edge to the traditional style housing. Strong brick gables relate to the local vernacular and bring a continuity to the proposal. The creation of six, three bedroom, semi-detached dwellings along Milton Road bridges the gap in the street scene formed by the nursery and reinforces the street edge, enhancing the appearance of the area. Accessed from Britford Lane five, four bedroom, detached dwellings surround a central shared space, forming an attractive naturally surveilled public area. The house design for each dwelling incorporates double height spaces, large sliding doors and rooflights, helping to maximise natural daylight and create a variety of spaces ideal for modern family living.